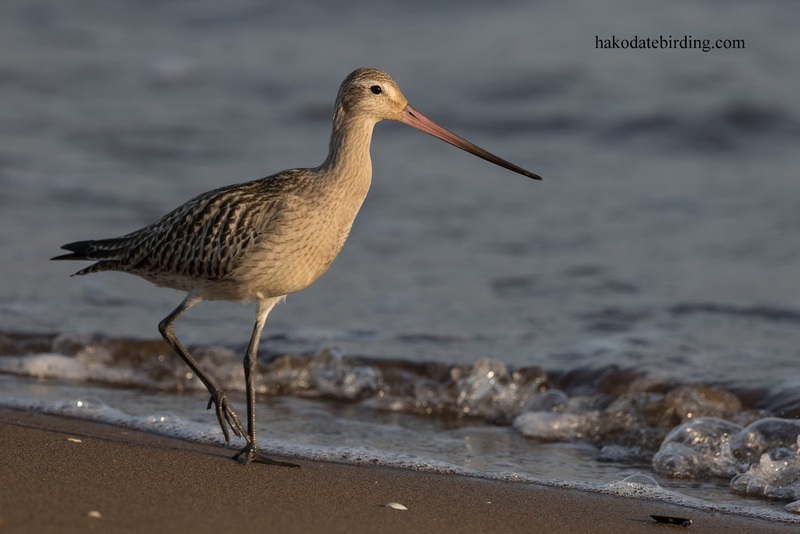 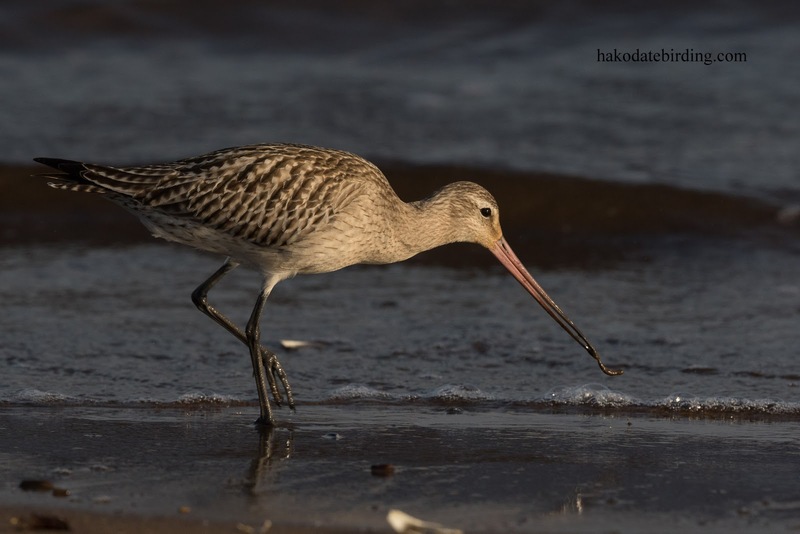 Nothing much at Yakumo, Onuma or Sawara but at least there were a couple of common wader species nearer Hakodate. 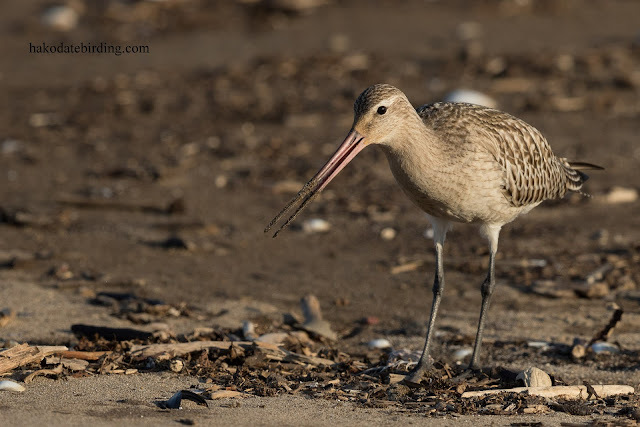 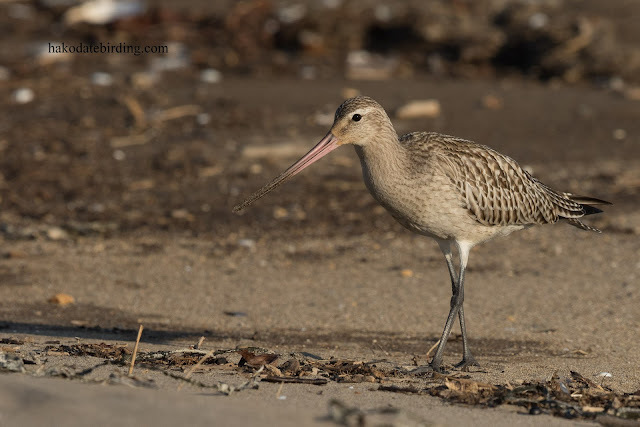 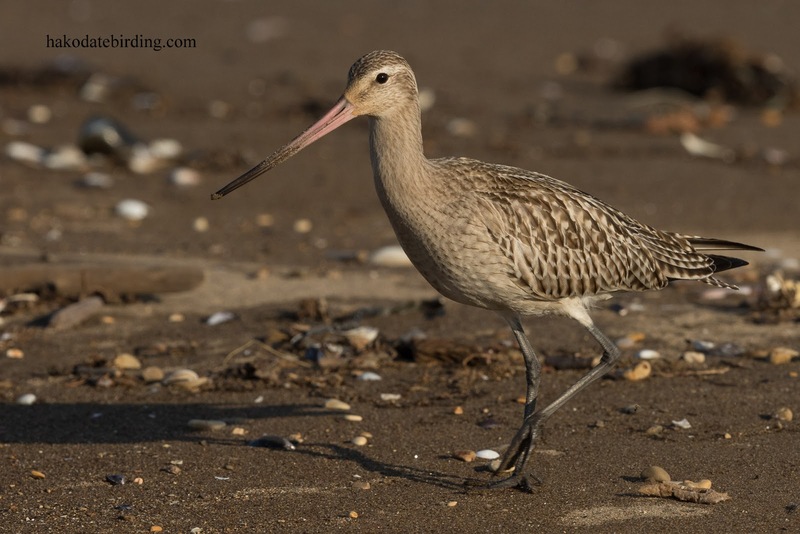 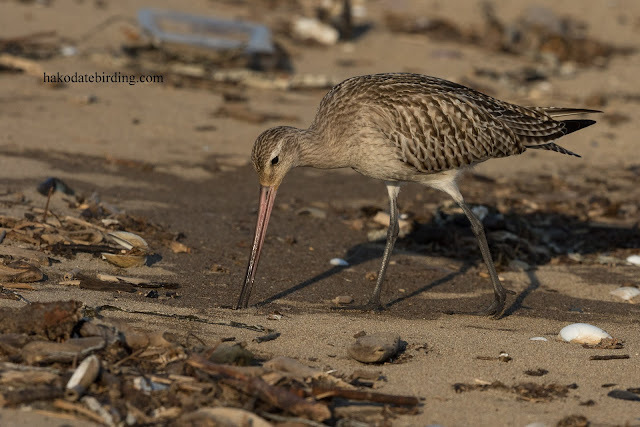 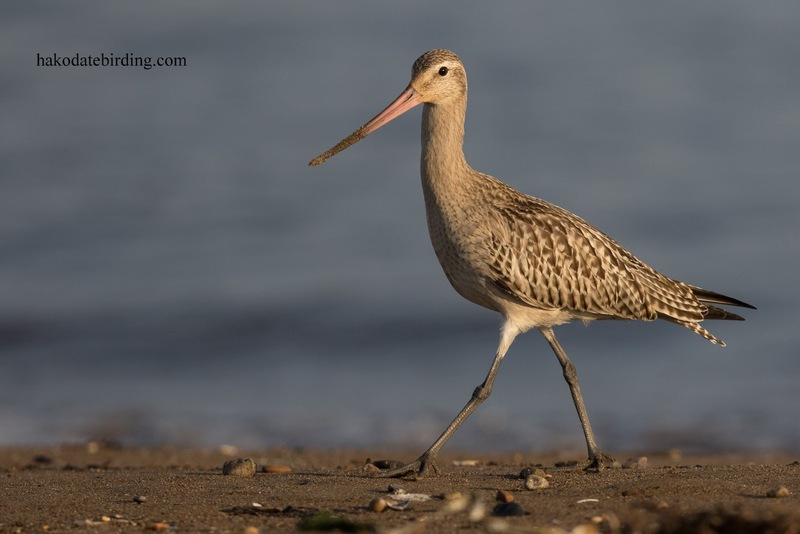 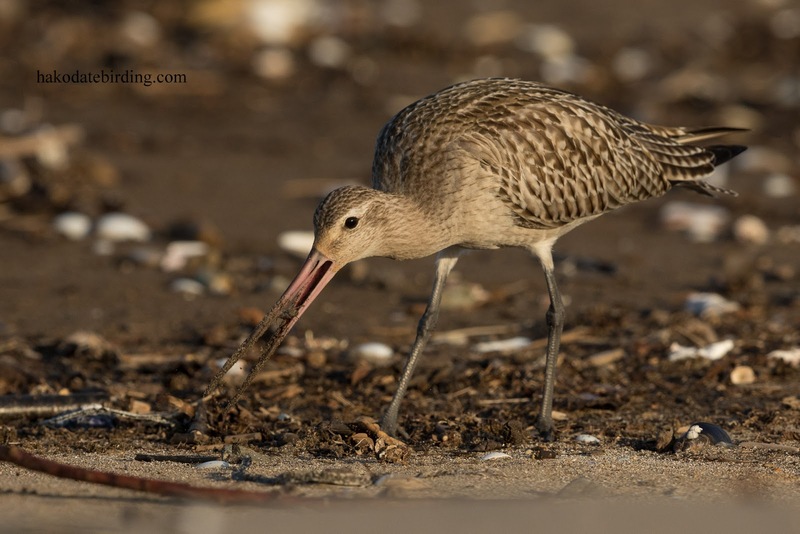 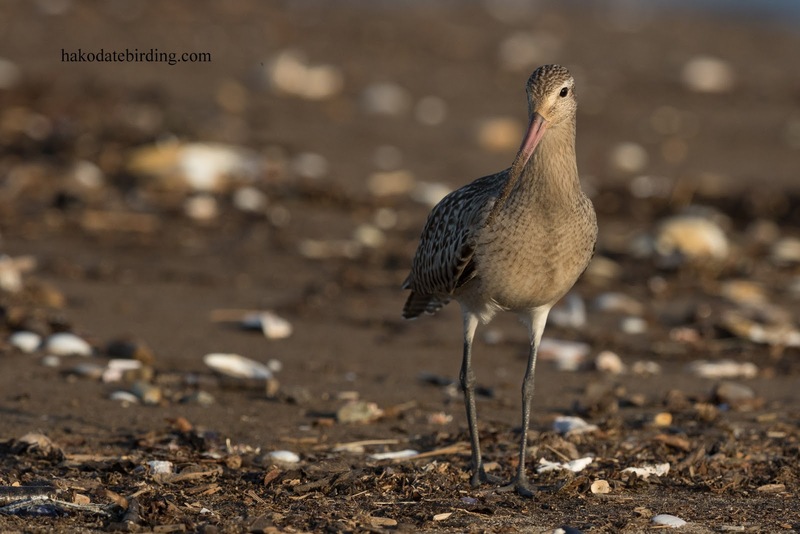 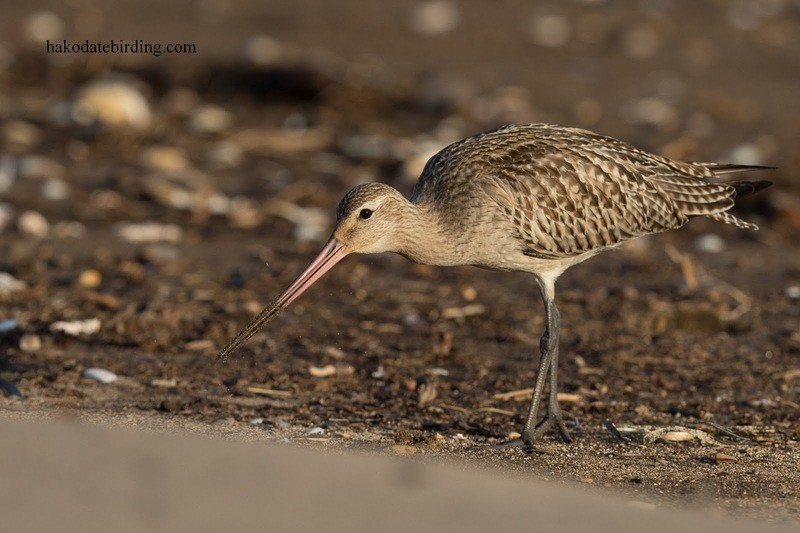 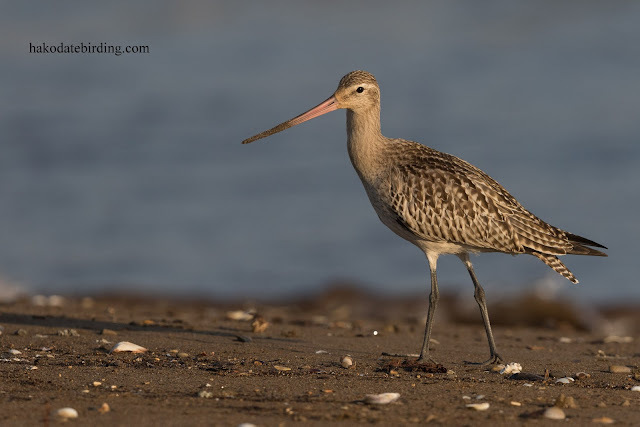 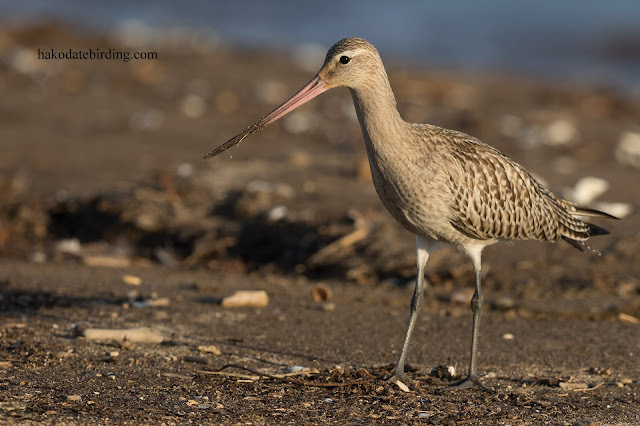 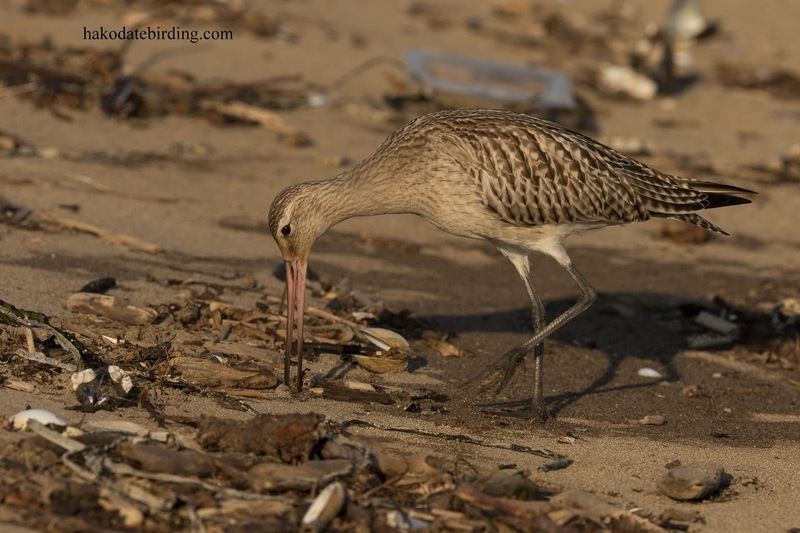 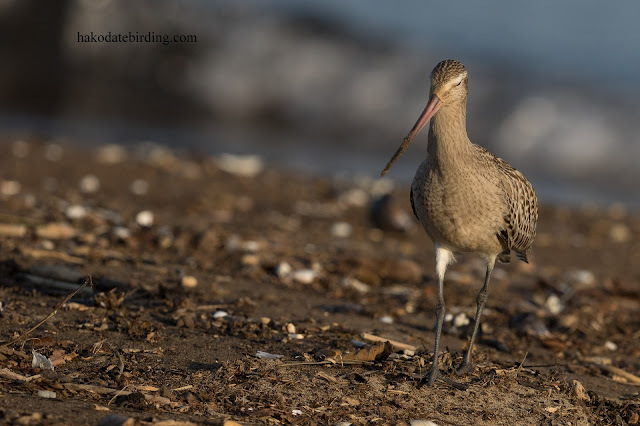 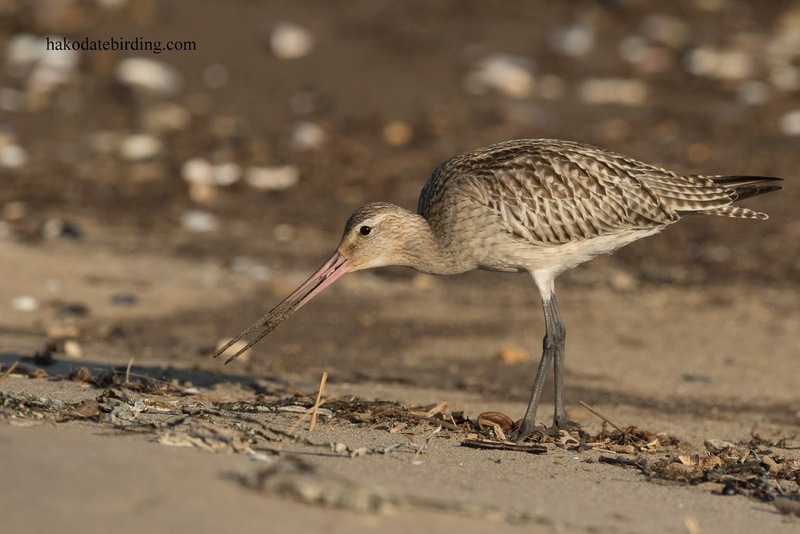 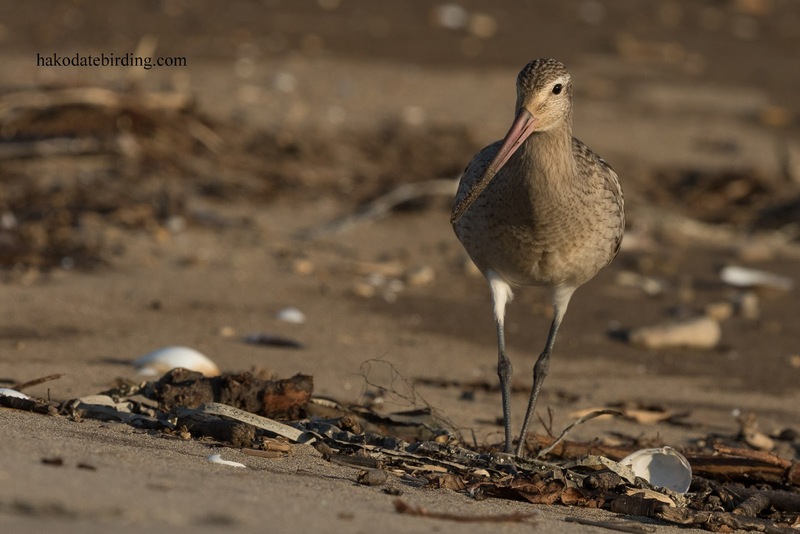 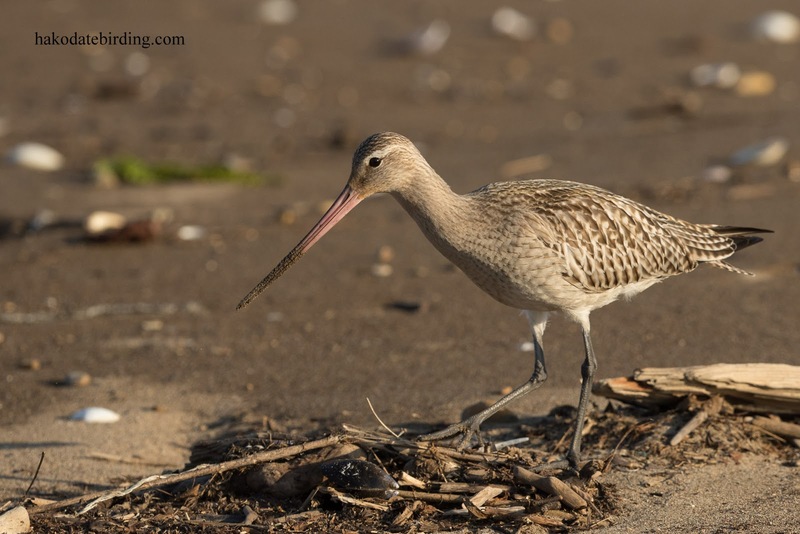 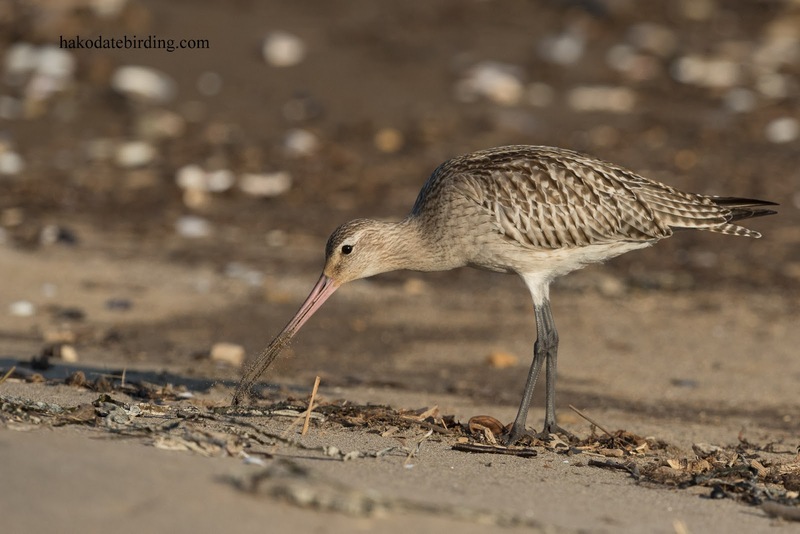 The Godwit was pretty tame and was feeding happily, sticking its long bill deep into the sand. 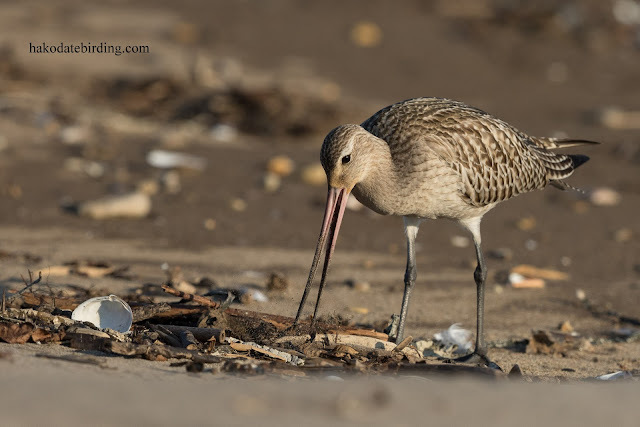 The local gulls never look particularly welcoming. 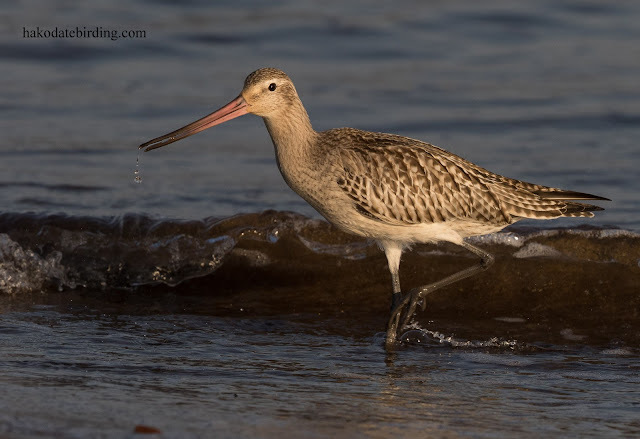 I often wonder where these waders end up. 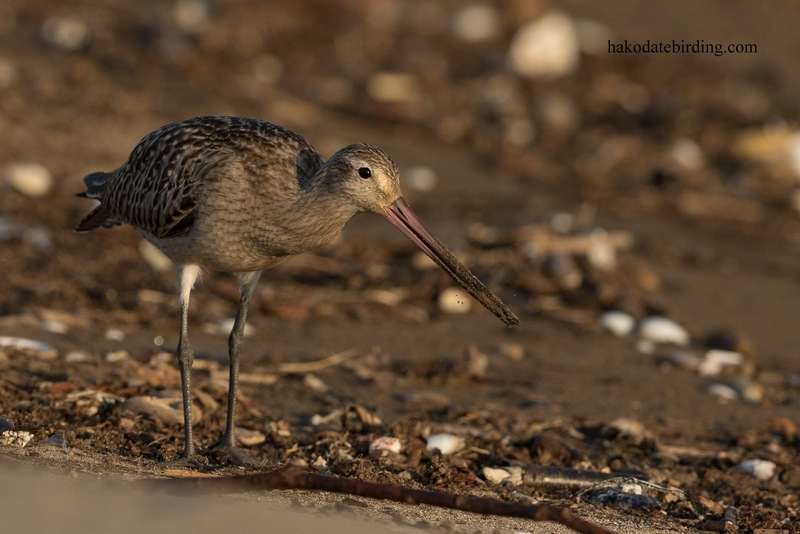 I like to think they go to some tropical paradise like New Caledonia, whatever must they think of Japan's trash covered beaches? 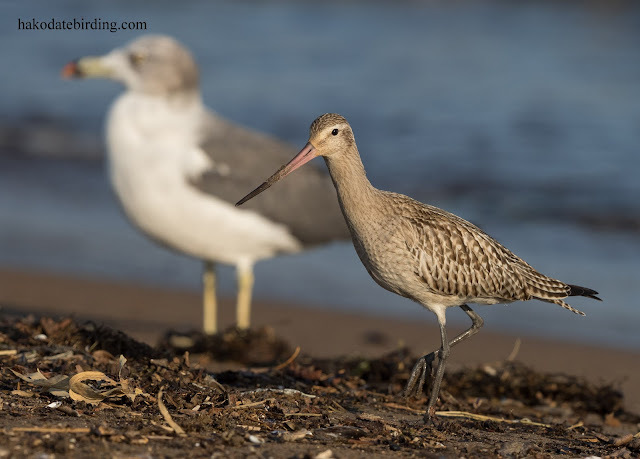 My brother is visiting from the UK for a couple of weeks, he'll arrive in a couple of days so I probably won't be doing much birding for until after mid October. 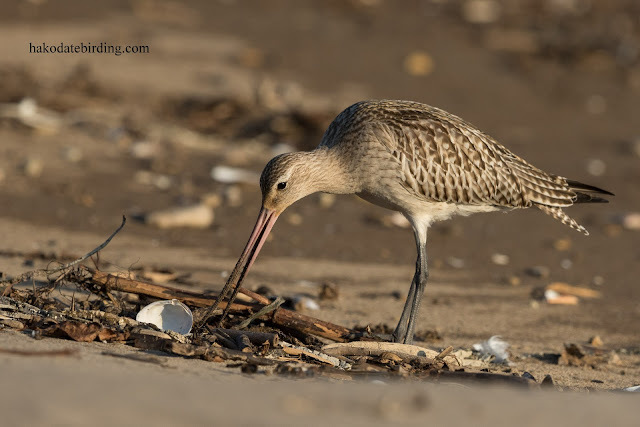 Trash on beaches is a scourge the world over, Stuart. 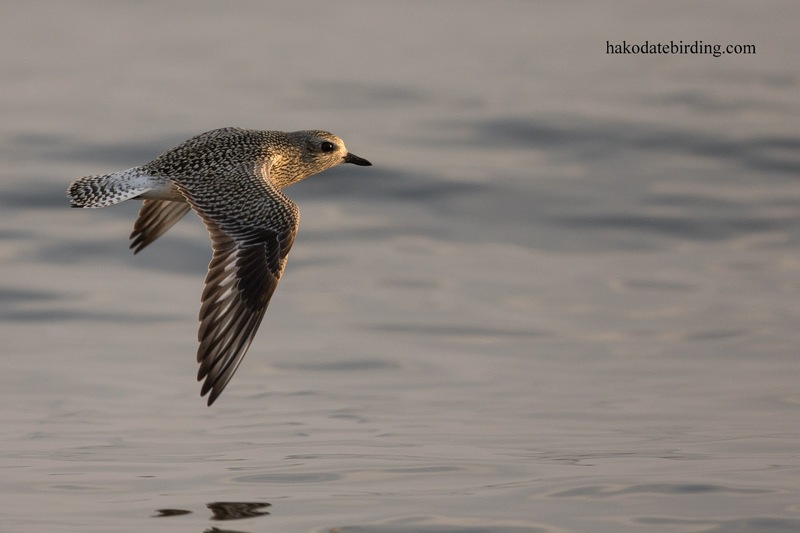 It is certainly not confined to Japan. 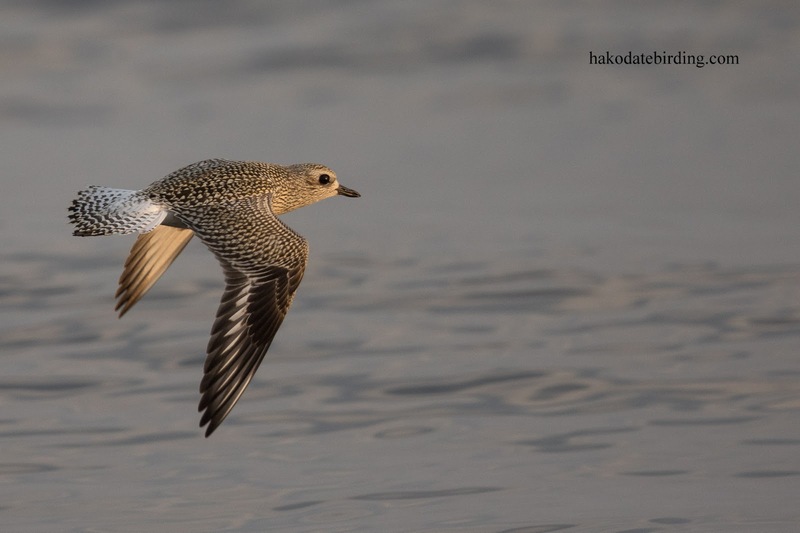 Great shots of these migratory shorebirds, however. 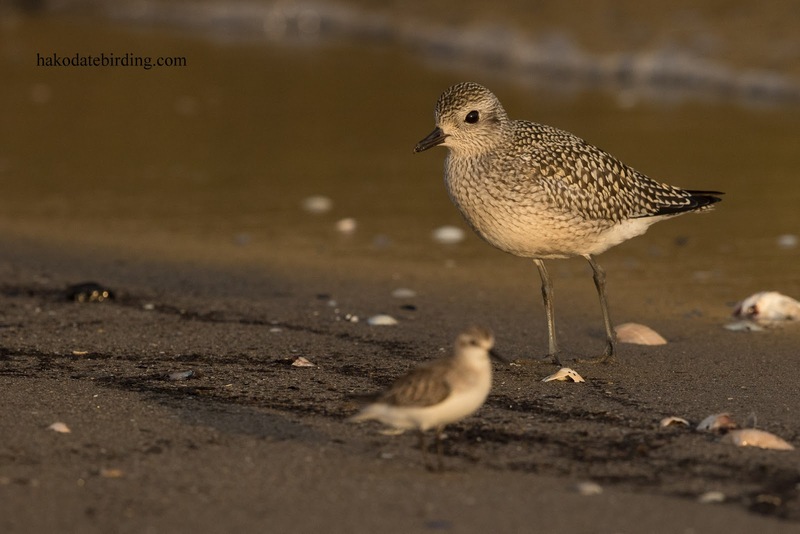 You will be sad to see them leave. 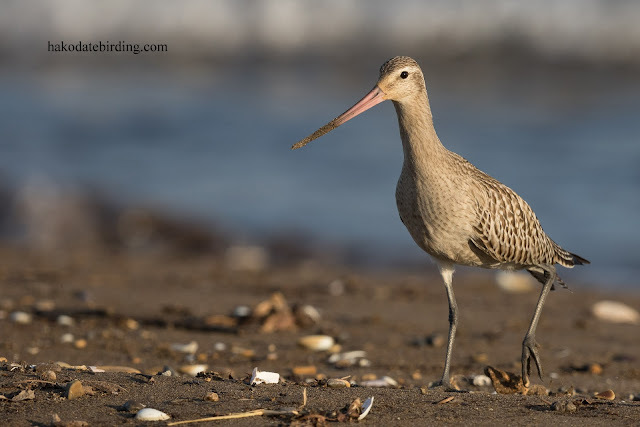 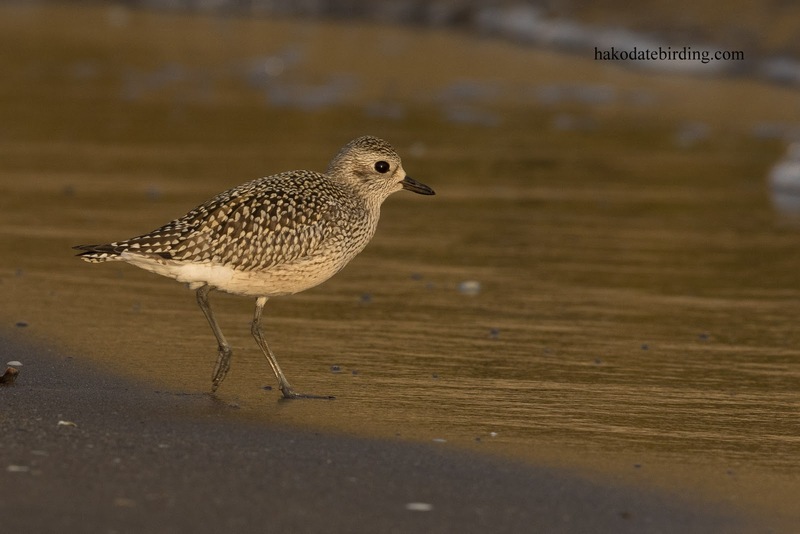 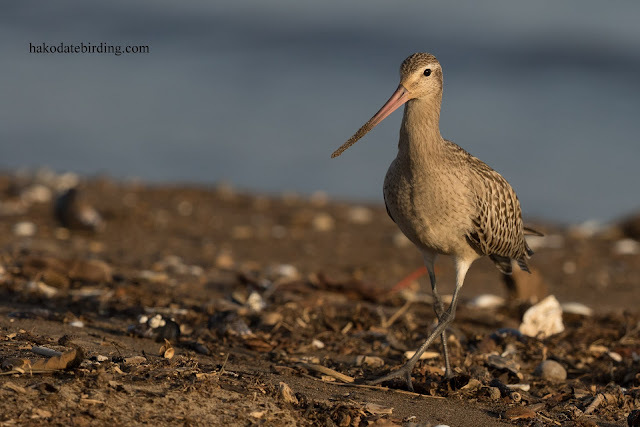 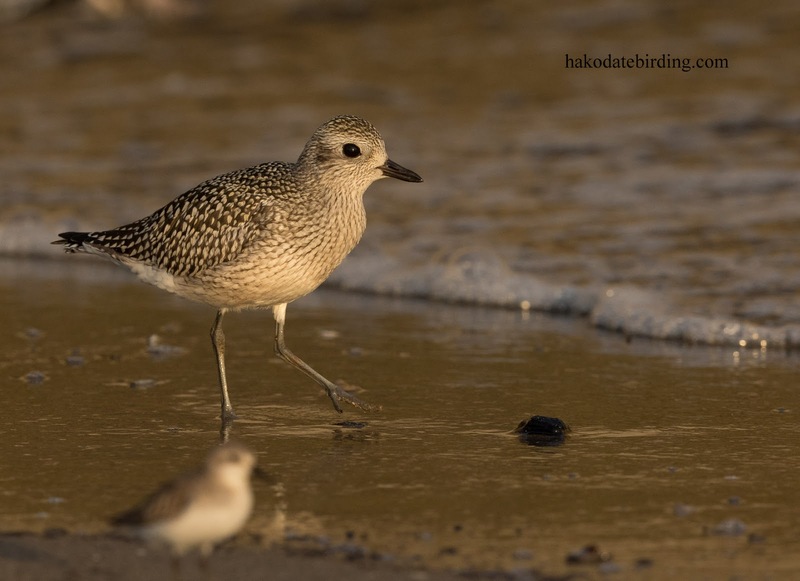 Thanks David, shorebird migration is always one of the birding highlights of the year. Nah!!! they wont go to New Caledonia Stu, they'll probably end up on the Ribble estuary. Nice ones to finish on for a while Stuart. Glorious light on the waders...a few Barwits pass here in the autumn, too. Lovely light on those plover shots.